Susan Heim on Parenting: The Classic Family Film, "E.T. The Extra Terrestrial," Is Now Available on Blu-Ray! The Classic Family Film, "E.T. The Extra Terrestrial," Is Now Available on Blu-Ray! If your memory needs a little refreshing, check out this cute scene from the movie! Can you believe how young Drew Barrymore is? Hard to believe she’s now a mother! But despite its age, this movie has really withstood the test of time. It’s just as fun and inspirational as it was when it first came out thirty years ago! To celebrate the release of E.T. 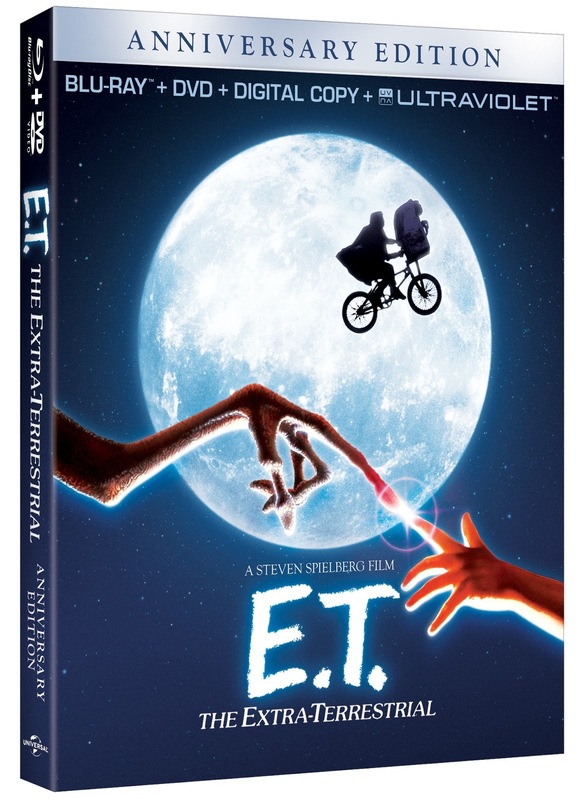 on Blu-ray, I’ve got some great activities for the kids and snack recipes for you to make at your next E.T. family viewing party! Of course, you’d better stock up on Reese’s Pieces. If you’ve seen the movie, you know why! Pick up the E.T. The Extra-Terrestrial Anniversary Edition Combo Pack today. It contains a Blu-ray, DVD, Digital Copy, and UltraViolet copy of the movie. This would make a great holiday gift!